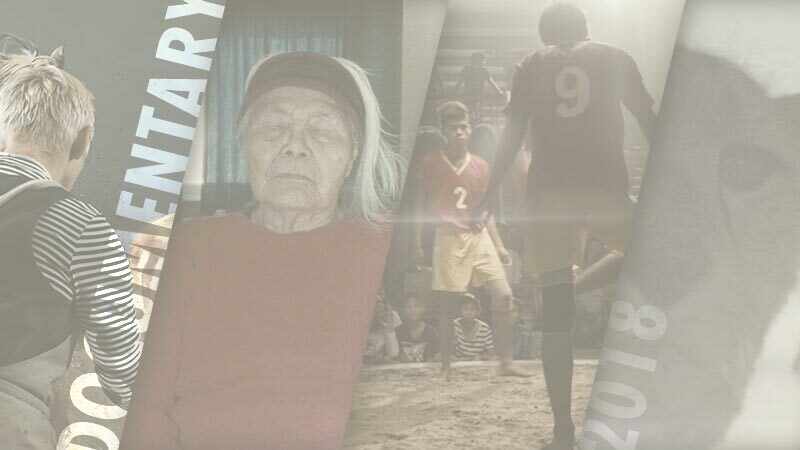 2013 is coming to end, and as we look back at all the countless films we have watched over the year, we list the ones that have touched us and inspired us the most, with either their stories, visual effects or originality. 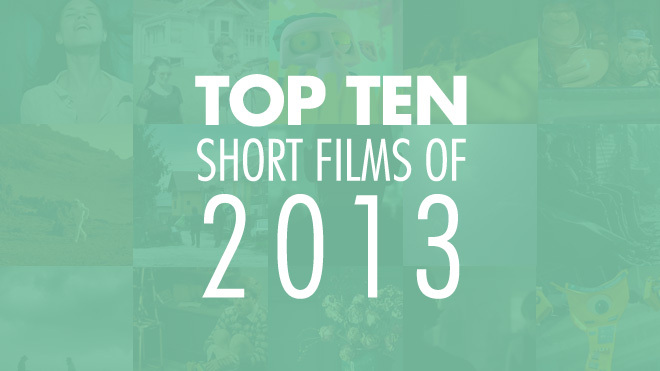 Our list includes films featured on Film Shortage in 2013, not necessarily made in 2013. Your wasteful habits gather up at number 10! Waste wins our deserving attention with its exceptional originality. Anton Groves’ wanted to create playful spin on a comical love story and make a statement about society’s wasteful habits. Read our full review on Waste, and download your own little monster! Michael Duignan sneaks into our top 10 with absurdity! Ten Thousand Days is a non-stop dark comical drama with a perfect sense of awkwardness and timing. The film comfortably puts us in an uncomfortable place while watching, where the two main protagonists played by Benedict Wall and Morgana O’Reilly play their parts to perfection. Read our full review on Ten Thousand Days. In The Pines submerges you into a beam of extraordinary visuals, as every shot in the film seems extensively thought out. A crescendo build up throughout the main character’s voice mail message narration leads us through an enjoyable journey until the end. Read our full review on In The Pines. Simply a powerful performance between the writer, director and actor. John Shrapnel inhales his role to absolute brilliance and the beauty of the film will just take your breath away. Read our full review on Method Actor. You will not see any superheroes in this short film, but you will not be disappointed. Without any crazy cinematic visuals or effects, Superman, Spiderman or Batman will unexpectedly hit your heart where you will discover something more powerful than all the superheroes combined. Read our full review on Superman, Spiderman or Batman. La Migala is an exceptional short film and with no doubt earns its spot in our top 5 of 2013! Just the premise deserves a spot in the top 10, but the incredible execution of immaculate symbolism and comparison between a profound phobia and the fear losing one you loved propels the film close to perfection. Read our full review on La Migala. Beautiful, heavy and a little disturbing. This shocking short by Francesco Calabrese tells an all too real story of a group of Italian kids initiating new-comers to their infamous “Killer” gang. I Killer gains massive points for creating this out of the ordinary film using children like we are not used to seeing them, and the film is just awesomely shot! Read our full review on I Killer. Next Floor has been one of the most anticipated short films online this year. Creating a huge buzz in the festival world, and has equally devoured the online world. With such a powerful metaphoric message directed by the cinematographic genius Denis Villeneuve, it’s no surprise that Next Floor has ranked amongst our favorite shorts of the year. Read our full review on Next Floor. 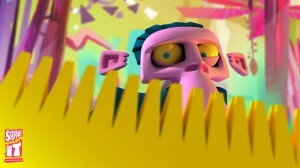 Stanley Pickle is a refreshing short filled an unimaginable amount of details that will make your imagination burst. The quality of production along with the brimming storyline earns Stanley Pickle a very high noticeable mention in our Top 10 of 2013! Read our full review on Stanley Pickle. A first kiss can be a golden memory, but no one has ever described it better than Martin Rosete in Voice Over. An absolutely dazzling and captivating short film that will make you lose sensation in all extremities by the time you reach the end. An extreme example of where imagination can take you, and this one has taken us to the number one short film featured on Film Shortage in 2013! Congratulations to Martin Rosete and all his team for creating this unforgettable short! Read our full review on Voice Over. A massive WWI short film production from director David Roddham who has previously worked on films such as Saving Private Ryan and Black Hawk Down as a special effects artist, that’s plenty enough to make you believe this short is worth watching! 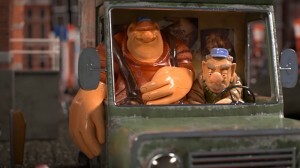 A wonderful 3D miniature-like animation created by 4 Dutch students will leave you with a few giggles. We are obviously big fans of Nicholas Payne Santos‘ work, and his short Mutt is exemplary of what he does best: Capturing the in between moments of a character’s journey to build tension and significantly delightful character development. Definitely the funnest film of the year! Shave It! will take you on a color-bursting joy ride with an ironic reflection on how nature adapts to the human invasion. As you can see 2013 was an outstanding year for Film Shortage, and we already have tremendous shorts lined up for 2014! We hope to be able to add yours to the list.